Your People seized your son, Mary, they flogged him. There struck him the green reed and fists across ruddy cheeks. that his very mother-kin should crucify the man who had come to save them. Longinus then came to slay him with the spear. the blood of Christ flowing through his gleaming sides. for the shaft of the cross of Christ had aimed at his mouth. who openly with his two hands, was plying the lance. Good old Blathmac, who was a Culdee (part of the Celtic reform movement in the 8th century), composed this lament, asking the Blessed Virgin to come to him and keen for the dead Son of God. Thought it would be a good way to pass this Lent, remembering what the Christ did for humanity. 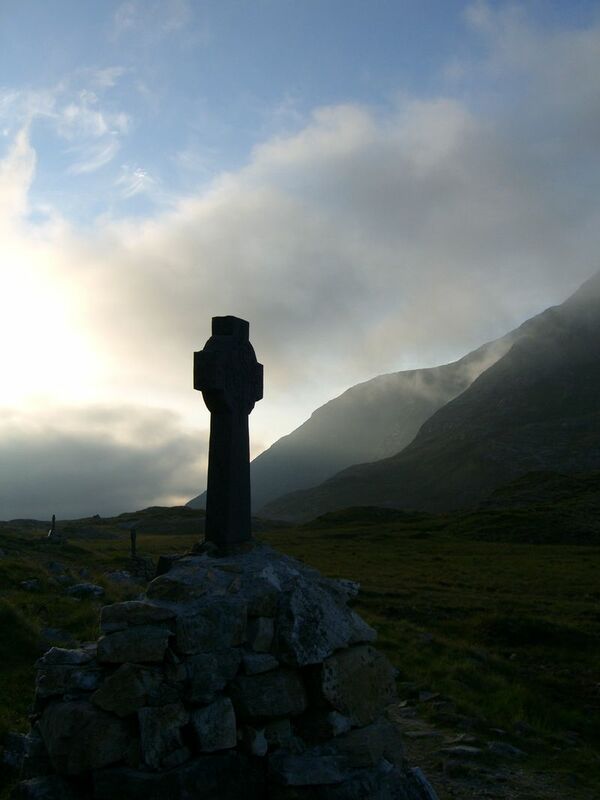 The picture comes from Maam Ean, the mountain pass in Connemara, sacred to St. Patrick. It's a great pilgrimage site, virtually isolated and untouched by human hands. May God bless all of you this Lent.